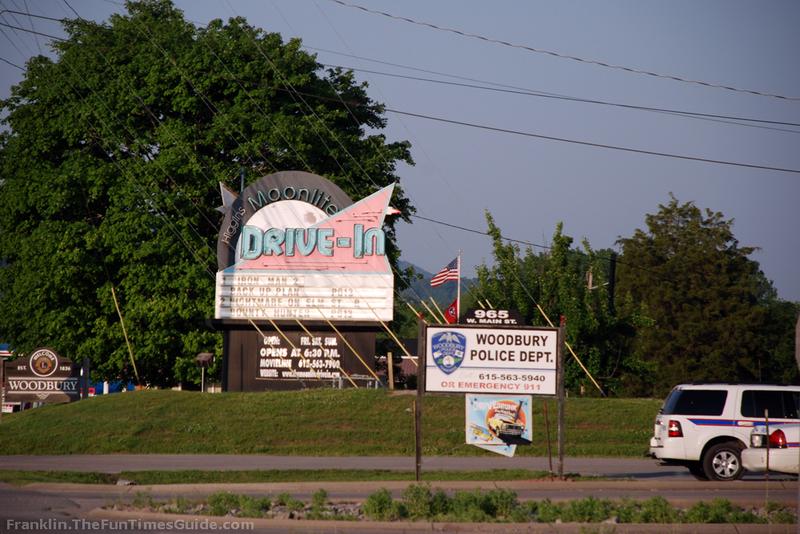 We Love The Moonlite Drive-In Theatre In Woodbury, Tennessee! 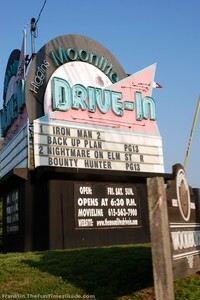 We went to the Higgins Moonlite Drive-In for the first time a few weeks ago. It’s located in Woodbury, Tennessee (just east of Murfreesboro). Following is our review of the Moonlite Drive-in. We drove from Spring Hill through Murfreesboro to Woodbury on Highway 70S. It was a nice drive and the area appeared to be safe and clean. Immediately before the Drive-in’s entrance is the Woodbury Police Station. Next to that is a gas station / convenience store — which is handy if you want any last-minute snacks. The ticket prices were very reasonable, especially for 2 movies! Tickets are $6 for adults and $4 for kids age 5 and up. What Are The Movie Screens Like? As soon as you enter, you’re supposed to tell them which movie(s) you’re there to see (each screen has a double-feature). That makes it seem like you’re expected to remain at one screen all night. But we saw lots of people move their vehicles from one screen to the other during the intermission. It’s not hectic, loud, or confusing, so I really don’t think they mind. Awesome! They have such a huge selection of fast food. In fact, I would rate their concession stand / restroom (it’s all in the same building) as the best we’ve ever seen at a drive-in movie theater! It was so clean (even the restrooms), and they had a lot of staff working the counter to make ordering go faster. Everyone was really friendly and helpful. And the food was delish. 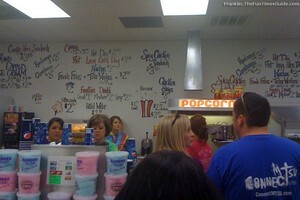 The prices for all of the things they sold at the concession stand seemed very reasonable! For all the latest info, check out the Moonlite Drive-In Facebook page.